1) Geometry is being emphasized less these days in secondary school curriculums, even disappearing in some cases. As someone who loved geometry that seems ashamed, though I understand the reasons for it. If only we lived in a Euclidian universe the importance of geometry would remain. 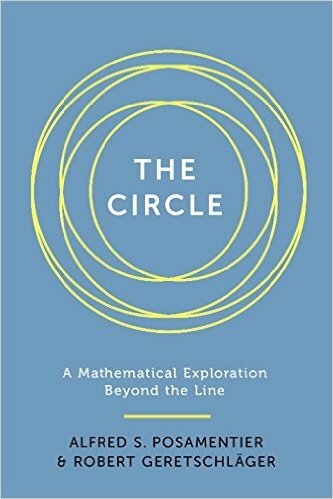 But we don't, and your interest in Alfred Posamentier's (with Robert Geretschlager) latest book, "The Circle," will largely depend on your enamorment with geometry (I have a review copy of it; not due for general release 'til latter August). A few years ago Posamentier was out with "The Secrets of Triangles," a fantastic overview of the geometry of that ubiquitous figure, and now he follows that with this treatment for the triangle's curvier cousin, the circle, in all its glory (triangles make plenty of appearances in this volume as well). In his usual style, Posamentier sends a firehose of interesting ideas, examples, theorems, problems, etc. at the reader. You can virtually start with any chapter and be assured an interesting ride... as long as you have a yen for geometry. The book contains constructions, "art and architecture," history, and paradoxes, along with an abundance of plane geometry facts/problems/theorems. 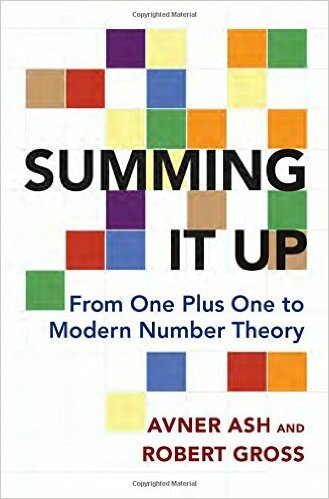 2) Avner Ash and Robert Gross's "Summing It Up" is a much more advanced lesson in math, specifically number theory. Like the Posamentier book this one abounds with examples and specific cases, but that's the only similarity. This is actually the third book from Ash and Gross, and it is focused on modular forms, a very hot topic since Wiles' proof of Fermat's Last Theorem as well as increased interest from the Langlands Program. Though it starts at a more elementary level the book builds toward ideas in number theory that will be difficult for the casual math reader to follow in the second half of the volume. As such it is not so much a "popular" read as an academic-like treatment of, or introduction to, some advanced math. 200 pages of rich, dense reading for the uninitiated. 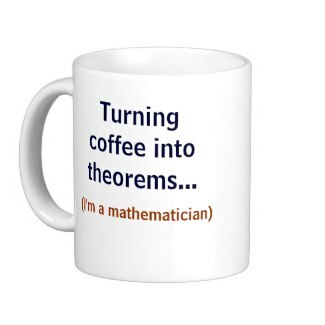 Certainly worth it if number theory is your particular area of interest or you've been wanting an intro to modular forms. 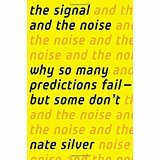 3) Lastly, and I'm waaaaay late to the party on this one, but just now finishing Nate Silver's 2012 bestseller, "The Signal and the Noise." (Somehow, every time I thought of reading it, other books got in the way.) Anyway, I love this volume; far more interesting and wide-ranging than I realized it would be. A good introduction to Bayesian statistics, but covers a lot of other ground as well. So if by any chance you too passed it up along the way for some reason, I recommend it, especially since this is an election year and of course parts of it pertain especially to election/voter analysis. Three completely different books, new, old, and forthcoming, that may satisfy very different tastes and levels of math background. We are passed the halfway point for this year, and usually by now I already have an idea what my favorite math-read of the entire year may turn out to be. This year no single volume stands out for me though above others, so we'll see what the second half of the year brings along. 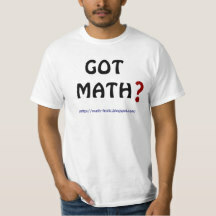 I read a LOT of math blog entries. In the last year-or-so though, two people, above all others, have consistently blown me away with their postings. The two (among so many solid writers), are James Propp and Brian Hayes. So after interviewing James in the last interview here, I'm especially thrilled today to present Brian, who's blog "Bit-player" is quirky (not limited to math), exceedingly well-written, wide-ranging, and always much anticipated. I really knew very little about Brian, who has been called, "one of the most accomplished essayists active today," so I especially love how much new information there is for me in these answers. And I'm glad to introduce him to any readers not already familiar with his work. 1) Your blog posts aren't frequent, but are always interesting, unpredictable, and thought-provoking. How do you choose your topics and how long does it take you to complete a typical post? The world is chock full of stories I’d love to tell, but I can’t do them all. So I try to choose topics on which I feel I have something distrinctive to say, something to contribute to a wider conversation. I also try to choose stories that aren’t already getting a heap of attention from other writers. As you point out (very tactfully! ), I’m a mighty slow writer. American Scientist comes out every other month, so in all my years there I was on a 60-day schedule. I don’t recall ever finishing an article ahead of deadline. When I write for bit-player.org, I often spend a week or two on a piece, or more if there’s a substantial amount of programming needed, or elaborate illustrations. 2) I didn't find much at all about your academic or personal past online; can you say a little about your path to becoming a popular writer on math/computer science? While still in high school I began reviewing books for Saturday Review (a literary weekly, long defunct) and later for the New York Times Book Review. A couple years later I was the book review editor of the Baltimore Sunday Sun. I was also deeply interested in the sciences, technology, and mathematics, but I didn’t have much chance to connect my literary and scientific passions. Then a miracle happened: I was hired as an editor at Scientific American. The miracle worker was Dennis Flanagan, the editor in chief, who took a huge chance on a kid with very skimpy credentials. Dennis became my mentor and dearest friend. The dozen years I spent at Scientific American were my education, both in the craft of writing and in the fields I was writing about. The staff editors in those days were not really supposed to specialize, but I did most of the high-energy physics for a few years, and a lot of molecular biology. There were also occasional pieces on mathematics and computer science, but my deepening interest in those subjects was something I pursued on my own time. This was in the late seventies and early eighties, the moment when personal computers first came into bloom. Eventually I got my hands on some hardware and learned how to do stuff with it. This was another transformative experience. I gradually came to understand that in computational science I could do more than just read about what other people were doing. I could repeat the experiment, or try one of my own. All the instruments I needed were sitting on my desk. 3) You worked a dozen years at Scientific American, and your writing style is very reminiscent of Martin Gardner. I'm curious if you feel you have your own writing style, or have you consciously tried to emulate Gardner, who's writings were of course immensely popular? Like so many mathy/nerdy folks of a certain age, I grew up devouring Martin Gardner’s Mathematical Games column. I was 13 or 14 when I started reading him regularly, in the early 1960s. I soon found a disreputable shop near the waterfront in Philadelphia where I could buy old issues of the magazine for 10 cents apiece, thereby catching up with some of the columns I had missed from earlier years. When I met the man himself a few years later, it was an unsettling experience, like walking into a room and being told that the kindly, white-haired fellow in the far corner is Carl Friedrich Gauss. I was never Martin’s editor at Scientific American (he didn’t need much editing anyway), but I did have a chance to get to know him. He seldom came to the office, but for a few years I lived two blocks away from his home (on Euclid Avenue!) in Hastings-on-Hudson, New York. I was recruited as courier to carry manuscripts back and forth. Those visits always involved a glass of iced tea (Martin’s wife Charlotte would accept no refusals) and a puzzle or a magic trick or a bit of hot mathematical news from Martin. Some years later, when Martin had retired and I began writing a column of my own, he became a generous advisor and guide, introducing me to his friends, suggesting topics, gently calling me out when I goofed. We remained in touch until shortly before his death in 2010. I never consciously modeled my prose on Martin’s, but if you see a resemblance, I consider that a compliment. 4) If any of my readers aren't familiar with you could you point them to a few favorite (Web-accessible) mathematical essays they might enjoy? Which pieces would I suggest as starting points? Here are a few that seem ripe today. Ask me tomorrow and I’ll have a different list. 5) Are there certain current popular math writers you especially enjoy reading? The community of mathematics writers is not large, and most of them are my friends. I can’t name favorites among them without snubbing the rest. So I’ll just mention one math writer I’ve never met: Sherman K. Stein. I particularly recommend his book How the Other Half Thinks (McGraw-Hill, 2001). 6) Any new books coming from you in the near future? Yes! I’m working on a collection of essays that MIT Press will bring out next spring. Title: Foolproof, and Other Mathematical Meditations. 7) You're a bit of a polymath in your writings... is there some math/science subject though that you'd love to study more intensely and write about, but just haven't had the time or chance to cover yet? Having missed my first chance at getting a proper education, I am highly susceptible to the daydream of going back to school. But I probably won’t do it. There’s too much on the agenda for my remaining years. 8) You've worked at American Scientist magazine, which I always think of as one of the finest under-the-radar publications out there. But I know, like so many print publications these days, it's been through some rough times. Will just give you a chance to put in a promotional plug for the magazine if you care to tell folks anything about it…. Science writers often serve as intermediaries, standing between the scientist and the public, performing a sort of simultaneous translation. American Scientist has a different model: they foster direct communication between the scientist and a wider audience, helping the scientist tell his or her own story with the assistance of professional editors and illustrators. Both approaches have their virtues, but the direct channel of communication is becoming rare and thus all the more precious. I no longer write for American Scientist on a regular basis, but I remain a consulting editor — and a huge fan. Great answers Brian; I'm glad to know more about you, where you've come from, and to learn there is a new book on its way from you. Brian's last book by the way, was "Group Theory In the Bedroom, and Other Mathematical Diversions," another superb collection of mathematical essays. 11) A new Twitter account, @Team_Maths1 started "for sharing maths teaching resources, developments, research, blog posts, and ideas." p.s. -- I wrote a couple days ago here about my on-off relationship with Gödel over the years, and sometime this weekend I'll have a new interview up here... with one of the finest science writers around.